Welcome to Elegant Edibles! We prepare delicious and unique gourmet items for your enjoyment. We use premium all natural ingredients and cook them by hand in small batches to insure quality and freshness. 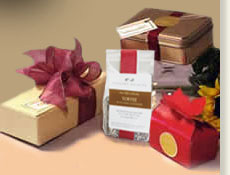 We also offer attractive gift packaging when you want to remember someone special or say a heartfelt "thank-you". Our Confections include an award winning recipe for Brandied Pecans and four other sweet Pecan flavors, all glazed with premium liqueurs. Our Come And Take It Snack has been described as "addictive" and was written about in Saveur Magazine (PDF). We hope you will enjoy shopping here. All orders are shipped fresh and fully guaranteed.